My toddler is a whirlwind! Liam is on the move from the moment he wakes up until the moment he goes to bed, which earned him the nickname "The Toddler Tornado." Life in a family of six is very much the same. Many days, we are in the SUV for hours on end, rushing from one place to another. 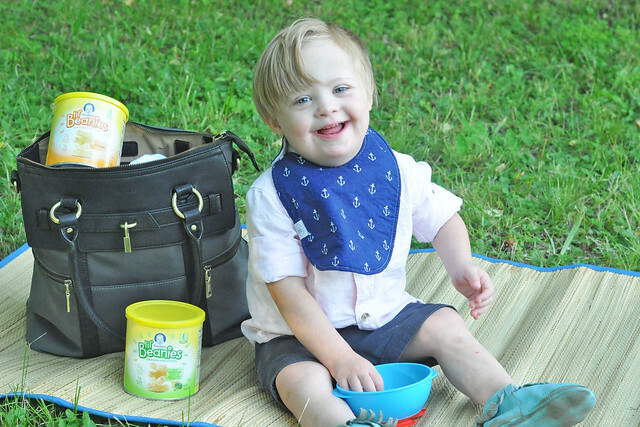 I initially worried how Liam, who has special needs, would fit into our on the go lifestyle,. There was no need to worry! He adapted quickly to life with three busy older siblings. He happily keeps up with all of us and is learning the importance of quality family time during all of our adventures! Eating mini-meals on the go is a necessity at times. I'm always looking for healthy snack options to add to my shopping list. 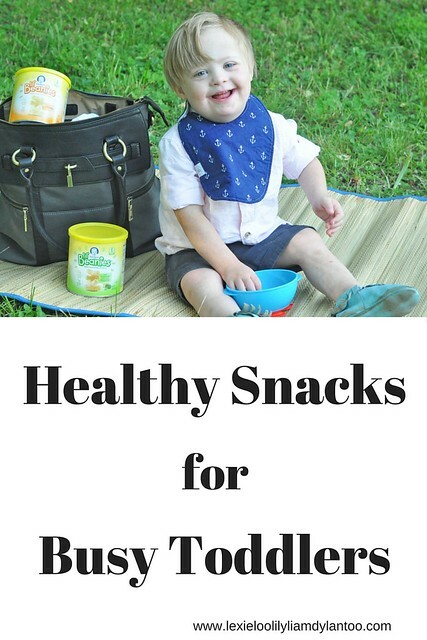 For a snack to be toddler AND mom approved, it can't be messy, it must stay fresh while stored in the car or diaper bag, it has to be ready to serve and it needs to be healthy. 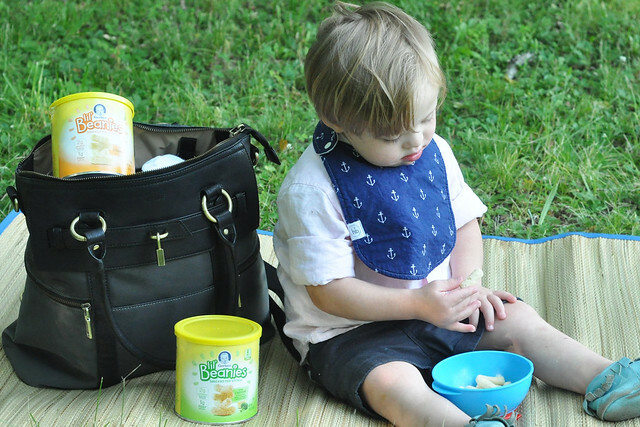 Gerber Lil' Beanies is the perfect healthy snack option for busy toddlers! 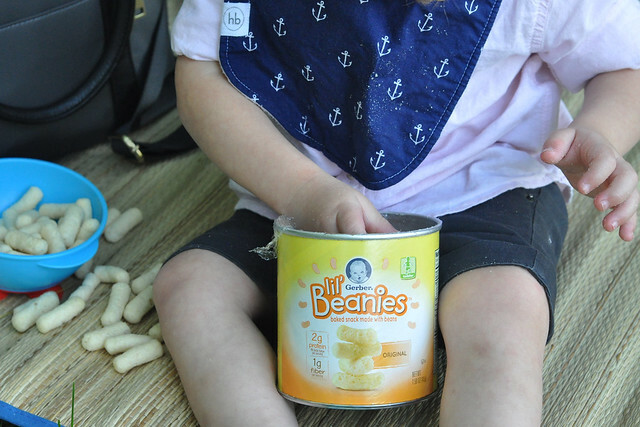 Gerber Lil' Beanies is a new baked snack made with navy beans! It has 2 grams of protein and 1 gram of fiber per serving. It doesn't have any genetically modified ingredients and doesn't include artificial flavors, colors or preservatives! 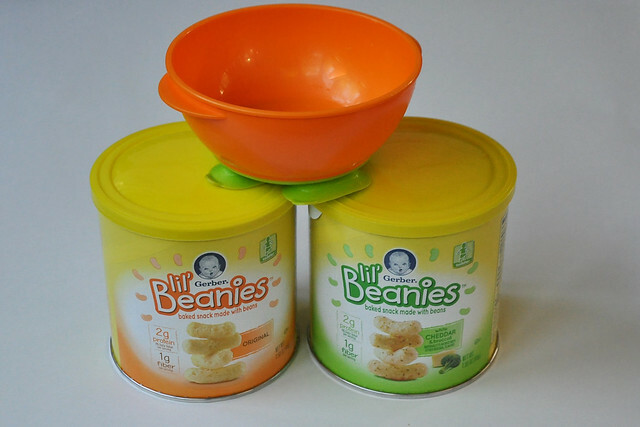 Gerber Lil' Beanies is available in 2 flavors: ORIGINAL and WHITE CHEDDAR & BROCCOLI. Liam and I recently headed to our local Target to purchase some new snacks. After a brief (but expensive) stop at the Target Dollar Spot, we headed over to the Baby food aisle. 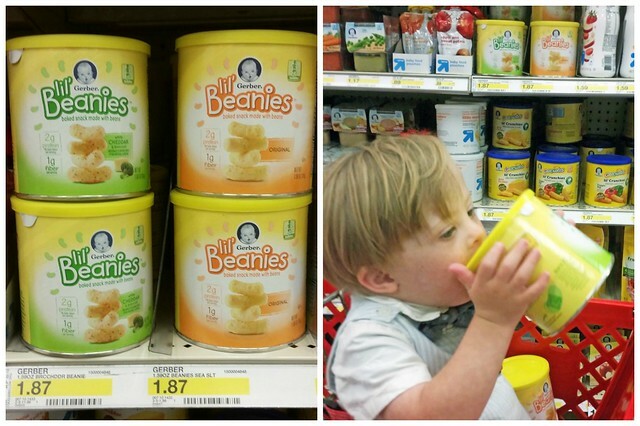 I easily spotted Gerber Lil' Beanies on the shelf. The product was positioned at eye level, so it immediately caught my attention. Liam grabbed a can right out of my hands. 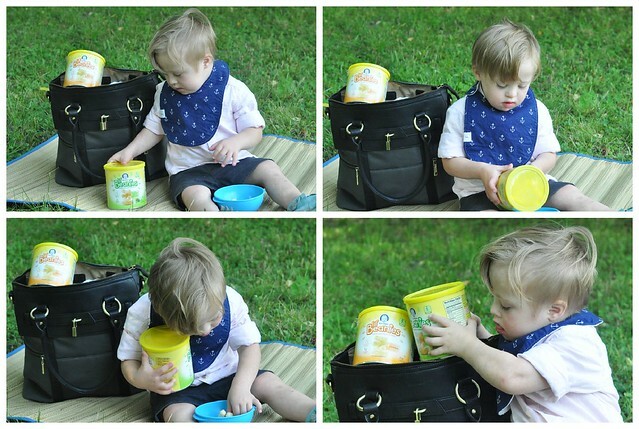 He obviously couldn't wait to try this new snack! 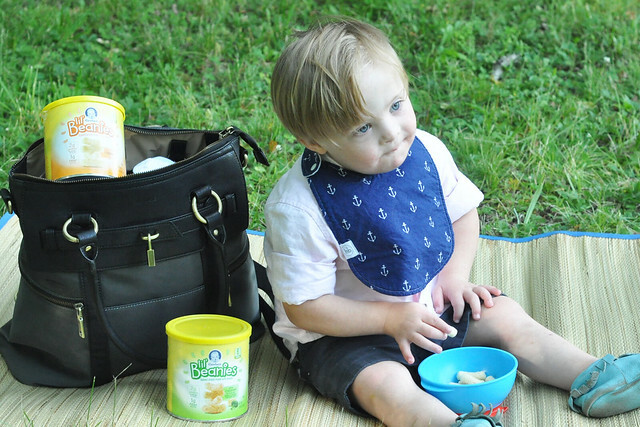 He didn't have to wait long to try Gerber Lil' Beanies! Although he liked both varieties, he couldn't get enough of the ORIGINAL flavor. 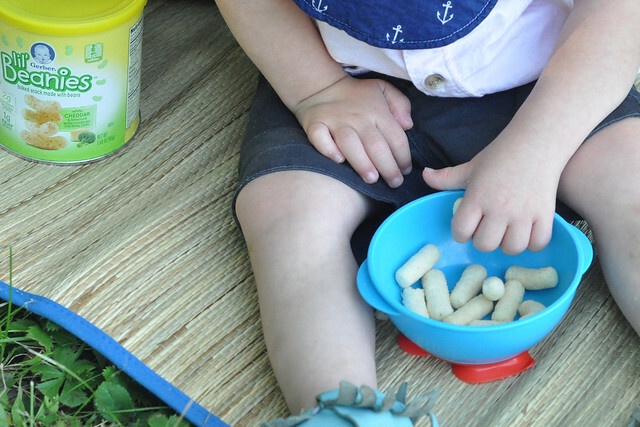 Toddlers can be so picky, so I was thrilled to find another healthy snack option that he loved! Life can get a bit crazy at times, but I embrace the chaos. Our lives are full of love and we sure are having fun! My main goal is to show this little man what life is all about and establish the fundamentals so he can live a long, happy, healthy life. He truly deserves the best! 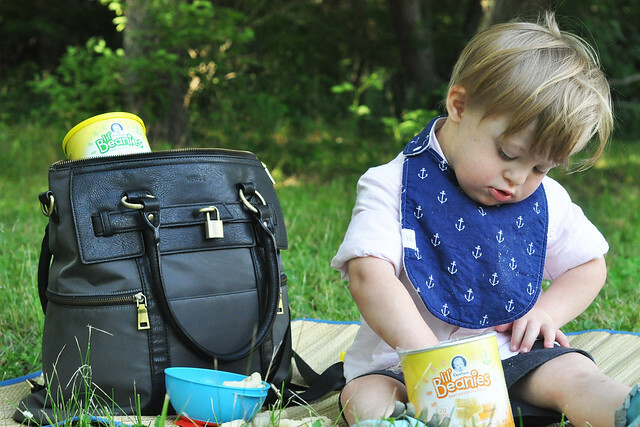 Gerber Lil' Beanies fit in perfectly with our on the go lifestyle. The can fits so nicely in my diaper bag for easy access. It's a healthy snack option that I feel 100% comfortable feeding to my child. 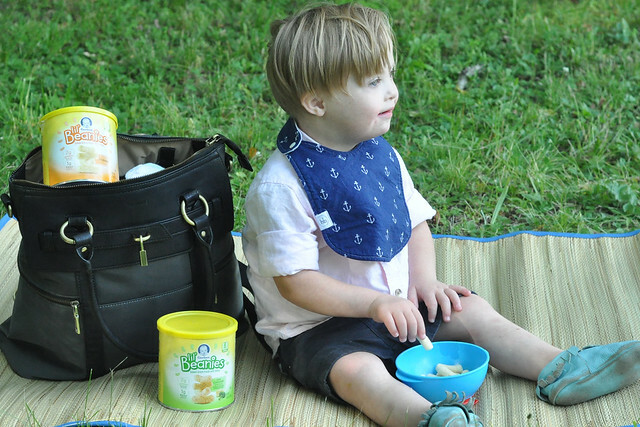 Plus, they can be easily eaten on the go with minimal mess and it's a mom-approved snack which Liam loves! 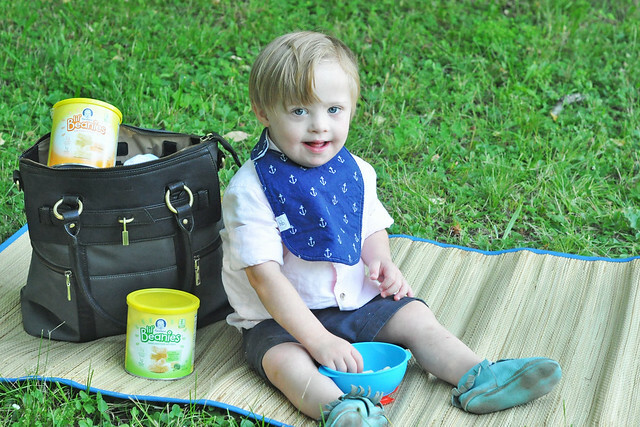 Thank you to Gerber for sponsoring today's post and for inspiring us to try Lil' Beanies! Liam is a big fan! 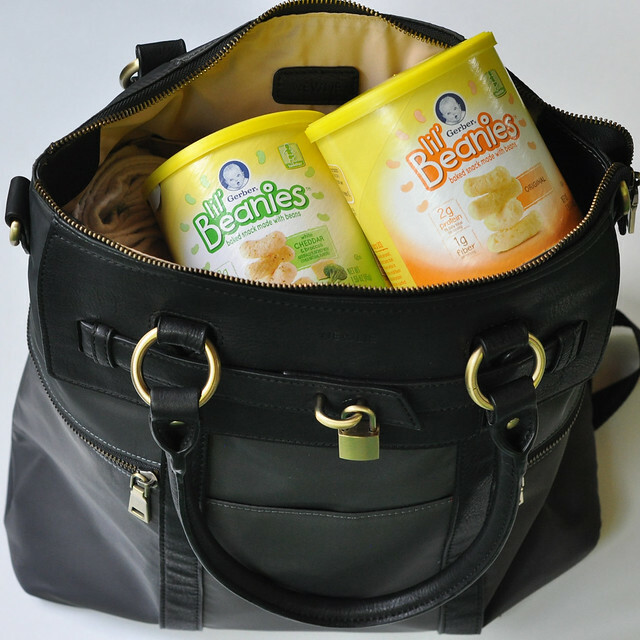 Has your toddler tried Gerber Lil' Beanies yet? Visit your local Target store to purchase a can! Liam is the cutest. These look like the perfect little snack to grab. Awww, thank you so much! XOXO They definitely are! Navy beans! My kiddos aren't toddlers anymore, but I may have to buy these just to try them out! I love finding healthy snacks like this!!! Thanks for sharing, girl! 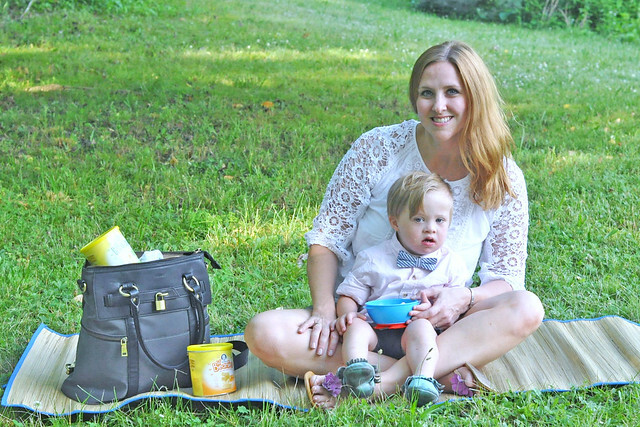 My kiddos aren't toddlers anymore either, but I'm always looking for snacks with protein. We might have to try them out. Lily snacks on them, too! He is too cute! My daughter is loving the Lil' Beanies too. I tried them myself and I can see why - they are quite good. Thank you! I agree...I can definitely see why they like them so much! 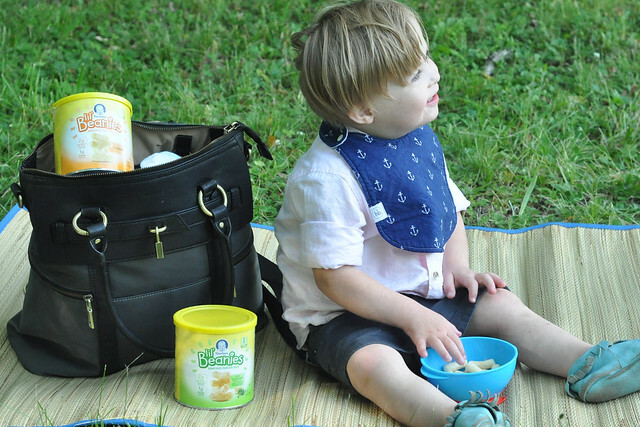 I just love Gerber and all of their products. 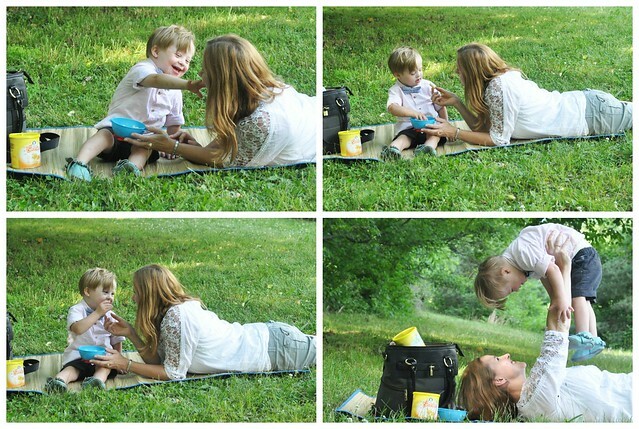 We are HUGE fans and our babies have been eating all of their snacks since they were tiny. I've never seen these before, so we'll have to try them out for Olivia! She would probably love them! I bet she would! I like how they aren't very messy! I think *I* might try those. HA! That's funny! I did try them and they're pretty good!